GOLD Duke of Edinburgh Award – Sofie Banister has completed her Gold Duke of Edinburgh Award. Sofie will receive her award at an official ceremony in the summer. Meanwhile her name has been added to the Honours Board in the school hall alongside the names of other pupils that have achieved Gold. Well-done Sofie – completing this before leaving school is a major achievement requiring focus and determination! Freya Baptist and Matthew MacLean received their Silver certificates and Jack McCruden has been awarded Bronze at School Assembly. Sofie Banister – recent recipient of her GOLD DofE Award also won the Senior Girls Cross Country Event. Read more below. 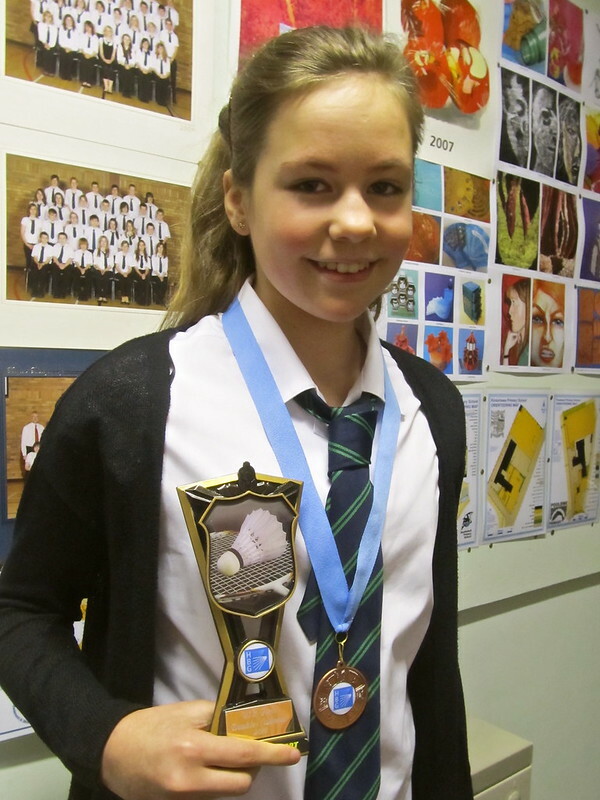 More Badminton Success – Nadia Fenton, S1, has achieved success in the Highland Badminton Group U13 competition held at Charleston Academy on 3rd February. Nadia and her partner came first in the doubles. Nadia also got a third place in the mixed doubles and reached the quarterfinals of the singles. 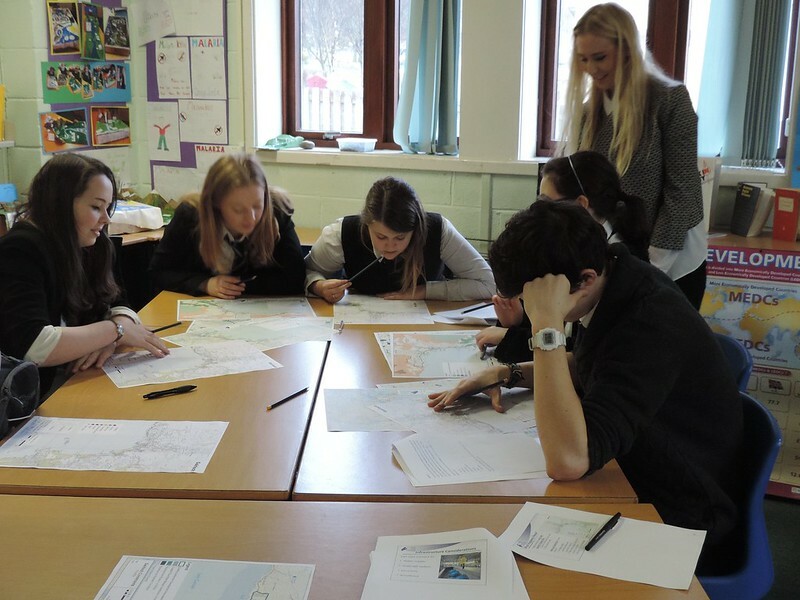 Higher Geography involved in Local Planning – As part of their consultation process for the West Highlands and Islands Local Development plan, Lynn Clarke and Carrie Grant from the Highland Council’s planning department visited Higher Geography pupils to hear their vision for Gairloch and the surrounding area. After an introduction to what a local development plan is pupils identified what they liked about the area and how those things could be safeguarded. Pupils were then invited to start their own submissions to the consultation by using local maps to mark areas for different land uses – housing, retail, industry and open space to name a few. Some of the ideas they came up with ranged from more affordable housing in Gairloch, an expansion to the college, greater number of bus stops, large protected areas as a National Park and even a bakery. These maps will now be completed and passed along to the planning team to take to other public bodies for consideration. Pupils will be able to see these reflected in the draft plan due towards the end of 2015. …out of the blue a man wearing bright red shoes, looking lost, stormed into our class and climbed onto the table! It was a great performance, well worth watching. It was so much fun instead of doing normal English! It was really surprising to see a man walk into class and shout from a table. It really grabbed everyone’s attention. …the room was filled with laughter – it was great. Gavin had a lot of energy. At the start I was scared that a drunk had walked into the class! I loved it when he just entered the room and stood on the table and started smiling! I wish I could watch it again. When Gavin came in I was at first like – ? But then he got on the table and I was still like – ? Then he told the story and I was like – oh! I thought the best part of the play was when the fish fell out of the sky. It was brilliant! Of course it was a bit weird, a random guy walking into the class, but it was great! I would pay to see that in a theatre. The actor did a great job playing multiple emotions and roles. When he first came in I thought he was checking the electricity! Today a random guy walked into the classroom and proceeded to perform a one-man show! It was funny and sad at the same time. It was great how the actor made a school desk come to life! There was a lot of suspension of disbelief. Malawi Quiz Night – Well done to the S2/S3 Malawi Fundraising team! They raised £328 on the evening of Friday 6th February during the quiz. They did a very good job welcoming members of the community, serving teas and coffees, selling raffle tickets and of course presenting the quiz! A big thank you should go to Miss Velt for organizing the pupils and everyone who contributed and took part. 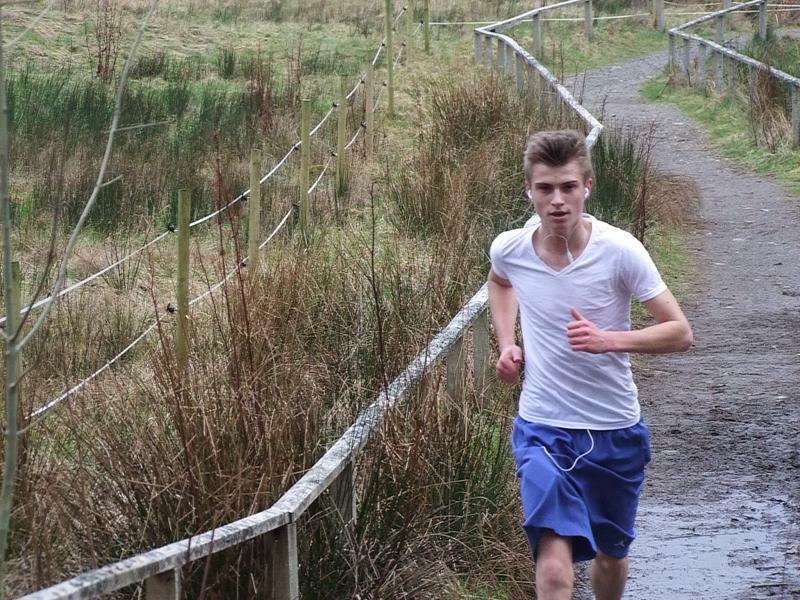 Cross Country Event – On Wednesday the 11th of February, the Gairloch High cross-country took place with 54 pupils taking part. Due to the muddy portions of the track, we were briefed to run to the conditions to avoid injury. The course was enjoyable with challenging uphill sections to go with the fast paced downhill areas on the mixed track at Flowerdale. 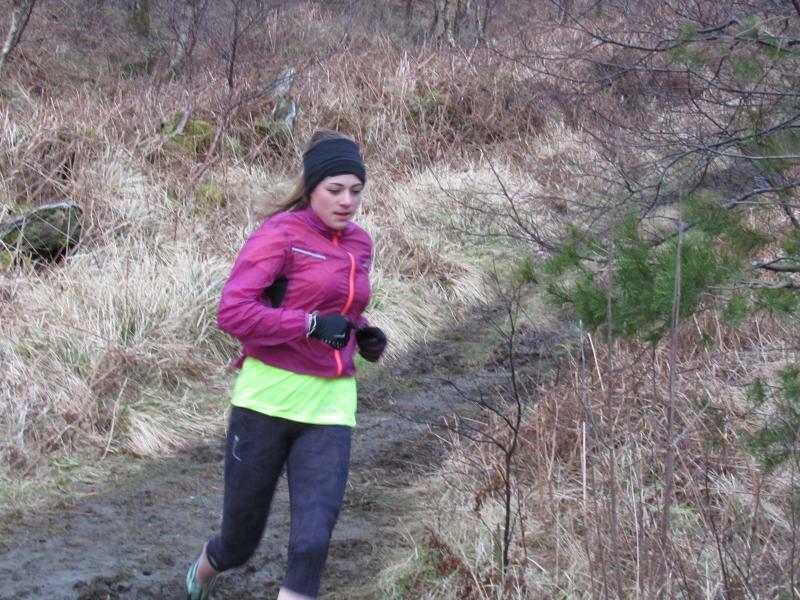 The cold air provided good running conditions and combined with dry weather allowing the participants to push themselves to the best of their ability. (Alasdair Macdonald and James Aaron S5). Sofie Banister (S6) was first of the Senior Girls to complete the course followed by Laura Russell and then Eilidh Johnston and Catherine Wyatt battling it out for 3rd and 4th place. The Junior Girls’ race was very competitive and all the top places went to S1 girls. The race was won by Emma MacDonald with Isabella Wiseman in 2nd place and Nadia Fenton in 3rd. Jordan Gorman won the Senior Boys’ race followed by Alasdair ‘Buckets’ MacDonald in 2nd and Alasdair MacDonald (S5) in 3rd. The Junior Boys’ race was a tie with David MacGregor, Iain Nelson and Evan MacPhail all crossing the finish line together. Well done to all runners who completed the course and tried their best. Thanks to Mr Bowker, Mr Johnston, Ms Newman, Miss MacAllister, Miss Smith, Mrs Hildrey and Mrs Johnston who helped with marshalling, photography and driving duties. Well done also to members of the Activity Tourism class who set out arrows round the course, marshalled, took photographs and did the scoring on the day. Thanks also to Mrs & Mrs Mackenzie for providing us with shelter, refreshments and use of the garden in front of Flowerdale House to warm-up, start and finish the races. Photos can be seen on the website by clicking here or on the photo of Jordan Gorman winner of the Senior Boys below. S1 GRAND BRING AND BUY SALE – We welcome donations: baking, books, DVDs & CDs, bric-a-brac, plants, electrical items in good working order, toys, clothes in good condition, jewellery, bottles and raffle prizes. Collected by us – call the school office on 712275 and leave your details. The sale takes place on Saturday 14th March – 10am in the Gairloch Community Hall – please support S1 pupils! We asked S4, S5 and S6 pupils to complete a survey about attendance at After-School Study Club. Pupils have now completed their survey and we are analyzing the results. We also sent home a survey for parents. It is available here in case you haven’t received it from your son or daughter. Please consider giving us some feedback by completing the form and returning it to the school. We want to get the most out of the work we do and study club is an important part of that. ROLLS-ROYCE STEM Event – On 30th January the school welcomed back former Dux and Head Girl, Anna Hulme. As a representative of the charity Engineers without Borders and a Science, Technology, Engineering and Mathematics (STEM) Ambassador, Anna, currently in third year studying Engineering at Strathclyde University, worked with pupils throughout the day. Anna talked to senior pupils about careers in engineering and the sciences and discussed the amount of hard work required to successfully study at College and University. 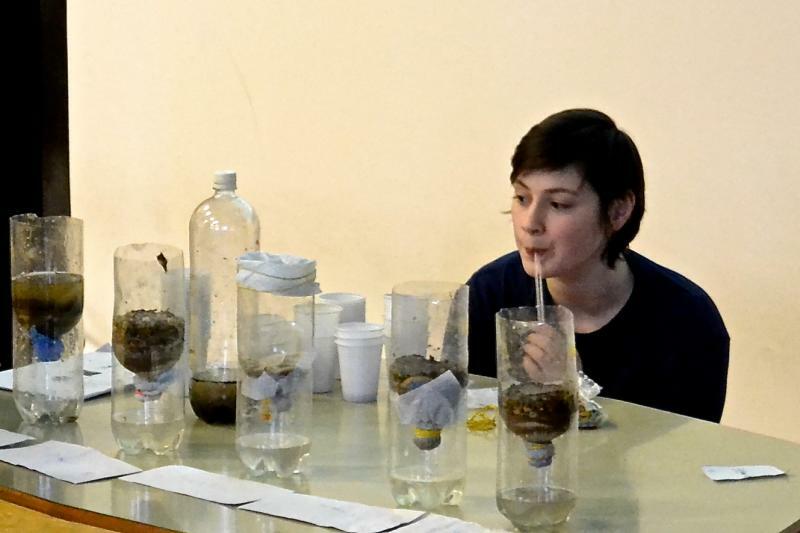 Later she ran two practical sessions for S1/2 and S3/4 that simulated buying materials and building a water filtering system to provide safe drinking water for communities in various countries around the world. The pupils worked in groups and were funded in proportion to the wealth of the countries that they were representing e.g. UK, Cambodia, Mexico and Somalia. Anna was invited into school as part of the Rolls-Royce Science Project, which is looking at innovative ways of teaching science and engaging young people in thinking about solving problems using the evidence available. 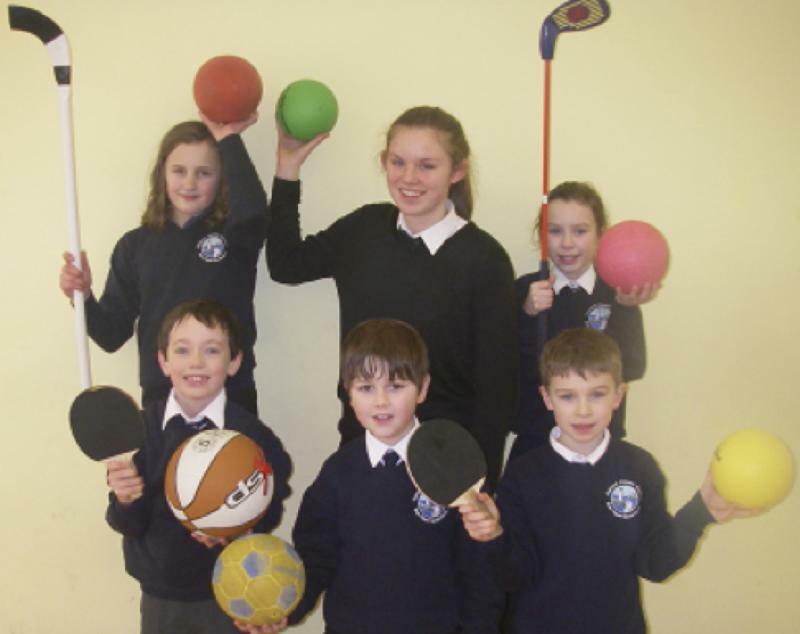 Primary pupil’s game inspires national competition success Sara Johnston, a Gairloch High School Young Ambassador, was recently crowned runner-up in a National Obesity Awareness Week (NOAW) competition, winning £1,000 funding to go towards school sports equipment. Active Schools Coordinator, Martin Godwin, challenged our Young Ambassadors to design a new sport or physical activity and enter the competition. With only a few days before the competition deadline, Sara decided to adapt one of Mr McDonagh’s class games to enter the competition. Mr McDonagh’s pupils in Gairloch Primary have various games that they have developed through mixing different sports and activities. This method allows all the pupils to become part of the activities, bringing their ideas to the table and then building strategies to be successful once the activity is set up. The game that inspired Sara was a mix of volleyball and dodgeball and once some small adaptions were made to the activity “volleydodge” was born. Sara’s entry impressed the judges and Sara was announced as the competitions runner up. Sara attended the NOAW prize giving ceremony at the Olympic Park, London on Thursday 15th January. Disney sponsored the competition and Sara not only left the prize giving with a medal and certificate to acknowledge her achievements, she received some Disney goodies as well. The Young Ambassadors will now liaise with the PE department, Active Schools and their fellow pupils in order to decide what equipment will be purchased. The funding will be shared with Mr McDonagh’s class in Gairloch Primary School and their class has been invited to present ideas on the equipment they would like to see purchased. 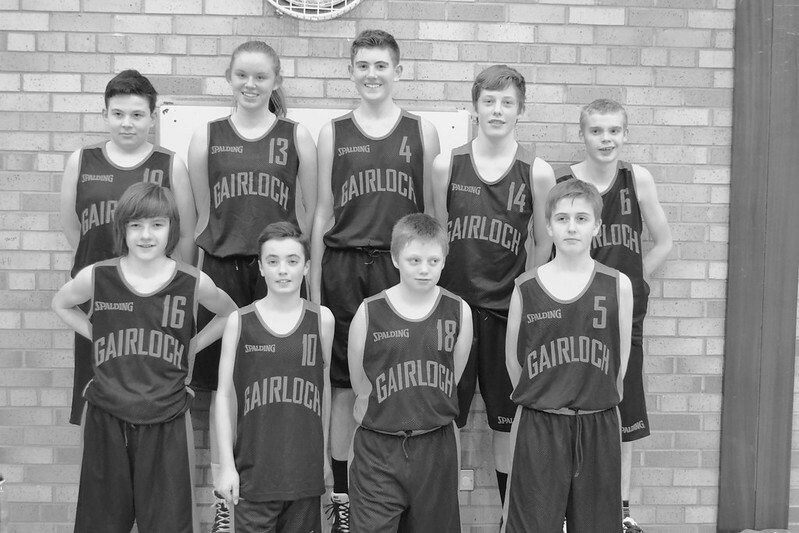 U15 Basketball – The under-15 boys plus Sara Johnston played Inverness Royal High on Wednesday 21st January. Despite losing 66 points to 42, this was a much-improved performance. Well done to all who took part or helped in any way, particularly Mr Milner for coaching, Mr Johnston for refereeing and senior pupils, Innis Taylor and Referdinand Balanquit. Stalls, Competitions and the BIG Raffle! – We welcome any or all of the following donations: baking, books, DVDs & CDs, bric-a-brac, plants, electrical items in good working order, toys, clothes in good condition, jewellery, bottles and raffle prizes. We can auction anything within reason!